The 2013 Ford Explorer was released this past summer, and has now been named ‘Best in Class’ for highway fuel economy. 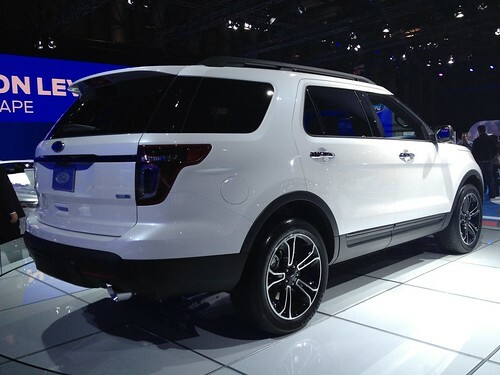 Ford hopes to keep building on the strong debut of the all-new Explorer for the 2011 model year. Starting with an MSRP of $29,135, the 2013 version is more than just good on the highway, though. It is after all an SUV. Ford makes no secret of the fact, giving the 2013 Explorer a ‘Terrain Management System’ that allows the driver to select the type of road surface he or she plans on travelling to maximize vehicle performance and fuel efficiency. The 2013 Explorer can indeed boast ‘Best in Class’ fuel economy of 28-mpg highway, which is impressive for a midsize SUV, with 20-mpg city. However, it should be noted that this is with the 2.0-liter EcoBoost™ four-cylinder engine, which is not available with all-wheel drive. The 3.5-liter V6 Explorer has fuel economy of 17-mpg city and 24-mpg highway with front-wheel drive (17/23 with all-wheel drive). 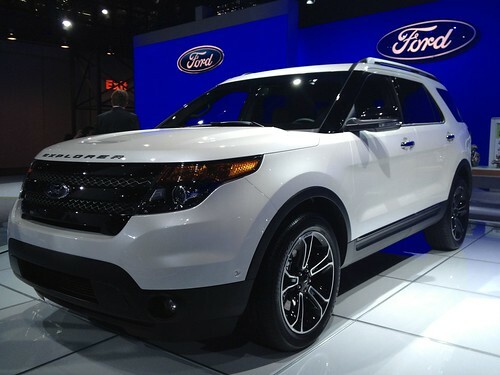 New for 2013 is that the Explorer Sport is now offered with a 365 horsepower EcoBoost V6 engine. This powerful engine is also seen in the Ford Edge. The Explorer Sport has fuel economy of 16-mpg city and 22-mpg highway. The Explorer Sport has a starting MSRP of $40,720, which includes four-wheel drive. The handling and terrain features just go on and on with this vehicle; there’s even ‘Curve Control’ feature that slows the vehicle down as much as 10 mph per second when it senses that Ford Explorer is going too fast for a particular curve. The manufacturer also adds that, ‘additionally, (Curve Control) can function on dry or wet pavement and is expected to be particularly useful when entering or exiting freeway off- or on-ramps with too much speed’. Impressive stuff, indeed. The reviews of the model have been largely positive; respected review site edmunds.com writes the following: ‘with solid on-road dynamics, decent fuel efficiency and an accommodating, high-class cabin, the 2013 Ford Explorer is a top pick for a large crossover SUV’. Consumers to the site have given the vehicle nearly a five-star rating. Edmunds writes that the benefits of the 2013 Ford Explorer include an upscale cabin; abundant high-tech features; excellent ride/handling balance; excellent crash test safety scores and available fuel-efficient turbocharged four-cylinder. Consumers at MSN Autos also give the Explorer a nearly 9 out of 10 rating, and other reviews have been largely positive, including a review from Motor Trend, which feels the 2013 Ford Explorer is an improvement over previous editions.